Ali Abdullah wants people to get free stuff. ?Discounts are good, but free is better,? Abdullah told TNJ.com about the inspiration behind Claim It!, a black-owned, Newark-based mobile app company that allows users to be privy of ?free stuff? offered by local businesses and national brands. The current launch happened just days ago and is a re-vamp to Abdullah?s original take on Claim It!, an app through which people participated in drawings to win free merchandise that was dispensed from a signature pink truck. Now, thanks to a $2.5 million series seed-funding round led by Newark Venture Partners, he and his team have gotten the app into Apple’s App Store and business has never been better. ?We?ve built a completely new version of the app. 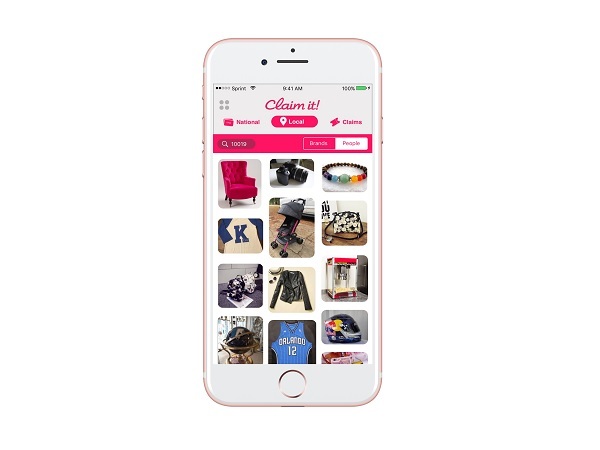 We think of it as a social marketplace where people and brands can share free merchandise with just the snap of a photo to create a buzz for brands, traffic and build ROI. It?s an interesting way for companies to get exposure and gain new followers,? shares Abdullah. He continues, ?If you look at traditional channels such as Groupon, and coupon platforms that have grown very large over the years, they have since been replaced with Twitter, Facebook, Instagram and other digital channels. We?ve introduced ourselves as a new form of a digital channel. It?s completely social, you can chat with one another and we allow anyone to use our platform to share something; something for free or a great discount.? Users range from a local business that might want to drive traffic to someone who is getting rid of a piece of furniture. A giveaway could be something as simple as free trials of Honest Tea iced teas or a piece of office furniture that someone is looking to unload. ?Think of it as Ebay on steroids!? Abdullah notes. “Claim it! taps into the transformative power of ?free,?? says Thomas Wisniewski, a managing partner of NVP. ?Consumers love free stuff, brands love the buzz that ?free? generates and people are just jazzed to exchange free stuff with each other.? Their August 15 app release event included participation from brands such as Blue Apron, Pair of Thieves, Happy Socks, Ruby Tuesday, Skurt, and Spartan Race, and had more than 50,000 users on the app launch waiting list. A former Google software developer, Abdullah has attended Alfred State College, Columbia University and MIT after learning about computer programming, for which he won an award, in high school. Prior to Google, the Harlem native dabbled in sports marketing ventures and later, landed an engineering position at the New York City Department of Education. With Claim It!, he found his footing. And the new and improved Claim It! can now boast that it is nationwide. Says Abdullah, ?Brands will now be able to reach consumers and manage redemption nationwide.? These days, aside from Claim It!, Abdullah, who now resides in Newark, N.J., is all about his daughter Amirah, who at the age of 8, just completed the ‘Adventures of Scratch Programming,’ a certificate program for youngsters held at Columbia University.